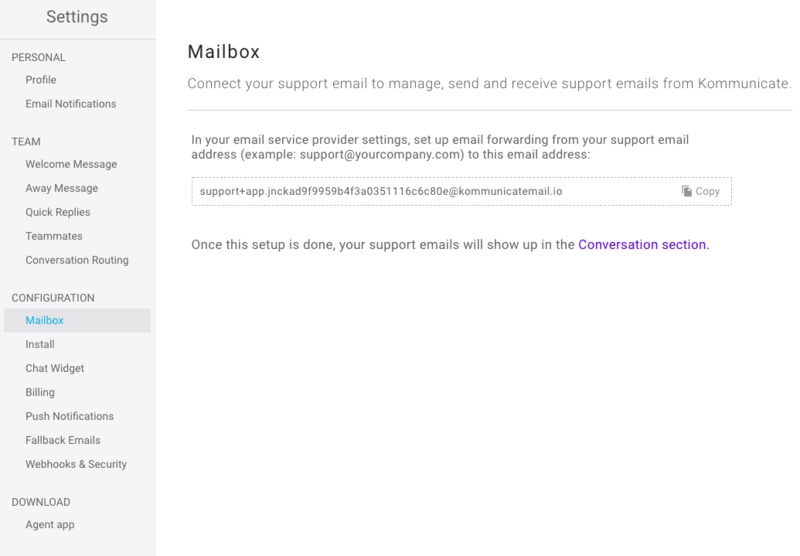 Mailbox helps you answer your support email queries from Kommunicate Dashboard itself. This brings in the best of chat and email support under one tree. 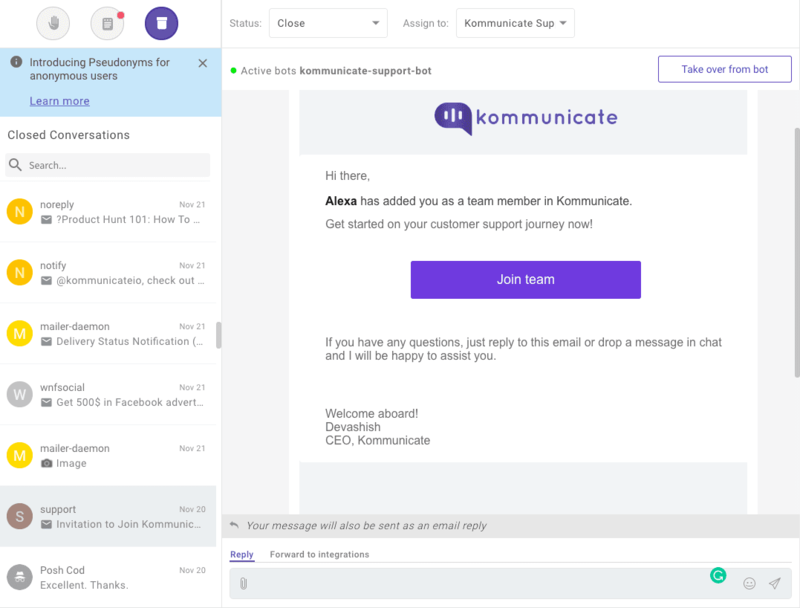 Your team can see the incoming emails and also reply to them. Here are the steps to start using Mailbox. Navigate to the Mailbox under the Settings section to get your unique email ID. Copy the provided email address, it will end with the domain @kommunicatemail.io. Copy this email address. Login to your support email account, in which you receive your support emails. Navigate to settings. Find the ‘Forwarding’ settings there. Paste the copied email address in the email forwarding section. Now all your support emails will be forwarded to this address and you can access them in the Conversation section in Kommunicate Dashboard. Note: Screenshots attached are for Gmail. You can easily reply to them in the same way you reply to chat conversations! All your replies will go as email replies in the same thread. You can also assign agents to email conversations.